Shipped in 2 - 1 lb resealable foil bags. 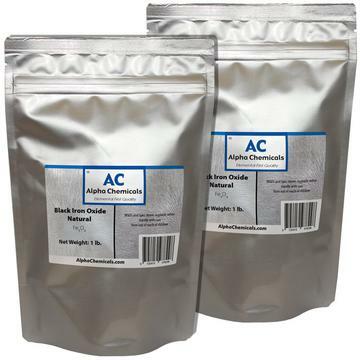 This is a natural black iron oxide that will have more impurities than synthetic black iron oxide. Iron oxide has many uses including pigments, ceramics, thermite welding, along with a wide range of other uses. MSDS and Spec Sheets can be found here.